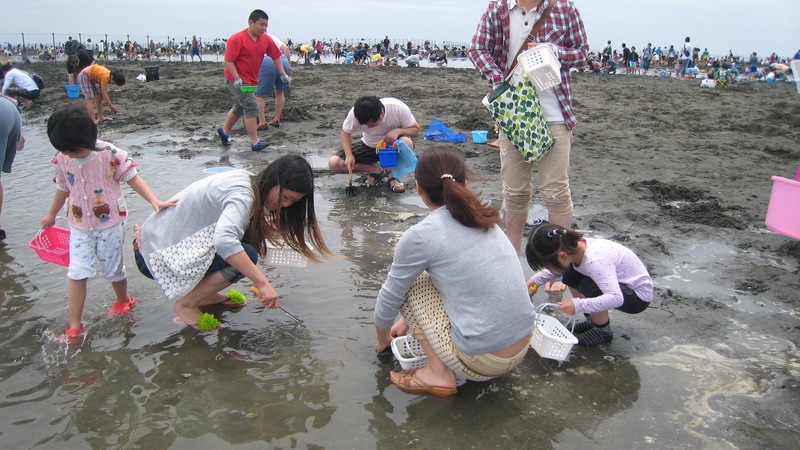 Shiohigari or clam digging is a Japanese tradition enjoyed by locals duringmid-April until mid-June. 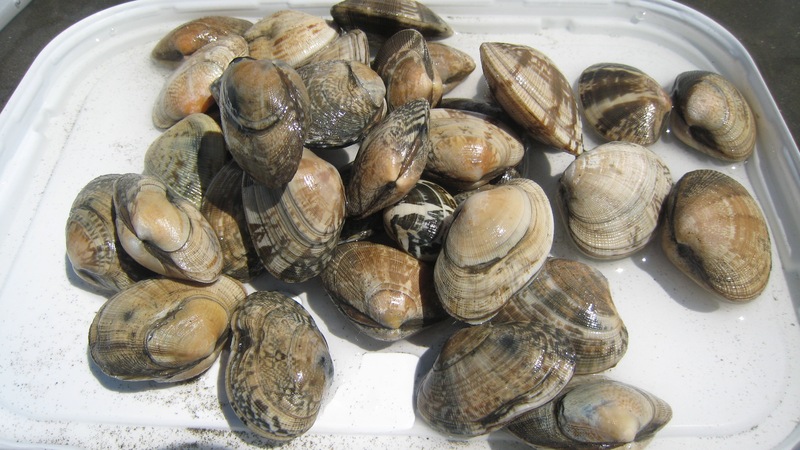 Every year, thousands of people go to the beach to search for Asari (Japanese littleneck clams). For this year's Golden Week, my husband and I were a bit busy from work that we did not make travel plans. Hence, we decided to be spontaneous and agreed to plan for several day trips within Tokyo or Kanto area instead. And so when our neighbour invited us to go for shiohigari, it did not take a minute for us to decide and say yes! With our small buckets; slippers; and packed lunch, we headed to Funabashi Sanbanze Kaihin Koen (Seaside Park) last May 5th. From Nishi-Kasai, we went to Funabashi station by train. From there we took the bus going to the seaside park. In spirit of Golden Week, it took us an hour queuing for the bus and another 45 minutes to reach our final destination due to traffic congestion. As we enter the park, we were surprised by the big crowd picnicking along the beach and digging clams on the sand. We first tried to find a place where we can put our mat and leave our things. After that, we took our buckets and rented garden forks to the digging site. Festive scene at the entrance of Funabashi Seaside Park: stalls selling digging sets, cooked food, drinks, and toys. A tough crowd to beat with for clam digging! At first it was a bit difficult to find good clams because a lot of people have already been digging as early as 5:00 am. 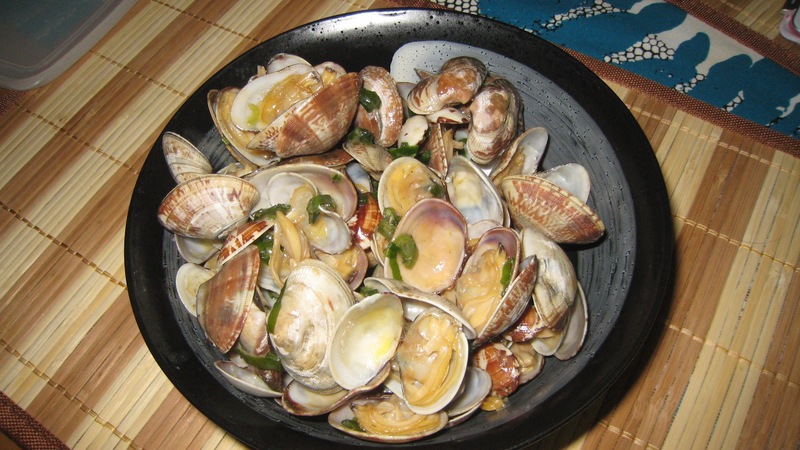 But we were lucky that there were still some left for us 🙂 With our joint efforts, my husband and I were able to get around 700 grams of clams. Not bad for first timers! Young and old having a great time and working hard to find clams. Our clams after and hour and a half digging and searching!